Looking for a unique twist on a groom's cake? 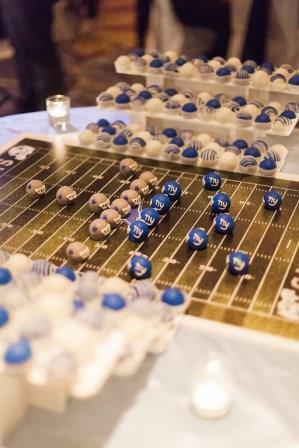 Our Cake Ball Football Stadiums are perfect for you! 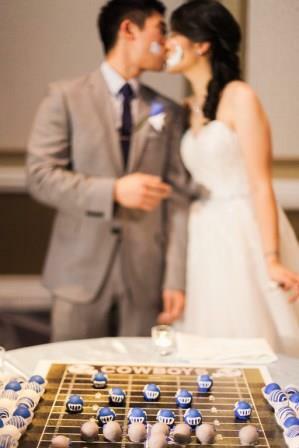 We are booking so many of these stadiums as groom's cakes for football lovers. Each stadium is customized with a football field with your team logos, cake ball "fans" in your team colors, and cake ball "football players" designed as helmets each complete with an edible image of your actual team logo. We can customize our Cake Ball Stadiums for any team - college, professional, or even high school! Contact us today to discuss options for your event!